A diverse performer, Judy’s talents have taken her from stage to screen, from drama to comedy to musical theatre to the recording studio. She has worked in front of the camera as well as behind the scenes as a writer and director. As a singer, she has delighted audiences from North America to Europe, Iceland to Malaysia. Born in Los Angeles, California, Judy began acting on stage and television from the age of 6. After early work on such TV shows as OZZIE & HARRIET, THE TAMMY GRIMES SHOW and FELONY SQUAD, in 1971, she landed the role of Mary Ellen in the TV movie THE HOMECOMING. This highly successful Christmas special served as the pilot for THE WALTONS TV series and launched Judy to international fame for her role as Mary Ellen. 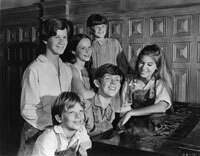 The Waltons, ran for 9 years, garnering numerous Emmy, Golden Globe and People’s Choice awards. 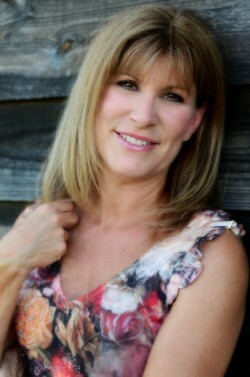 Her acting credits include the Walton TV movie reunions, A WALTON THANKSGIVING, A WALTON WEDDING and A WALTON EASTER, along with appearances on MILLENNIUM, THE INSPECTORS, SO WEIRD, YOU, ME & THE KIDS, STARGATE – SG1, MENTORS, COLD SQUAD, HIGHER GROUND, HOLLYWOOD OFFRAMP, ED, CHRISTY – RETURN TO CUTTER GAP the feature films TWIST OF FAITH and HANSEL & GRETEL: WITCH SLAYERS, and the mini-series LOST DAUGHTER. She also appeared in a recurring role on the series, BEGGARS & CHOOSERS, and the TV movie OFF SEASON and as part of the new TV series BLUFF and DISORGANIZED ZONE which are available on DVD and various streaming platforms. Look for Judy in the feature films SPARROWS – NESTING and BROKEN and FINDING HARMONY, ANOTHER DAY IN PARADISE and her most recent film INCLUSION CRITERIA – a psychological thriller Judy stars in which is scheduled for release in 2017. Judy is also a veteran of the stage. Having made her first appearance on the “boards” at the age of 7; she has starred in numerous productions including: HELLO DOLLY, BLOOD BROTHERS, LOVE LETTERS, SOUND OF MUSIC, ANNIE GET YOUR GUN, SOCIAL SECURITY, RANCHERS & RUSTLERS, WEEKEND COMEDY, PERFECT PITCH, SPRING AT MARINO and MOVE OVER MRS. MARKHAM. In addition to her extensive work as a performer, Judy has added writing and directing to her resume. 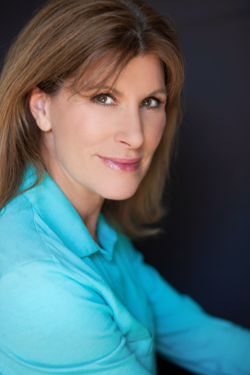 Along with her recurring acting role as Sophia Wyndom in the TV series BLUFF, Judy came on board as a Director and Head Writer for Season One. Producers are now working on moving ahead with Season Two. Along with Disorganized Zone creator Cyndi Seidler, Judy co-porudced as well as writing and directing multiple episodes. Three of her film scripts have been produced and are currently in post production: FINDING HARMONY, ANOTHER DAY IN PARADISE and INCLUSION CRITERIA. Judy spent 8 years as the co-artistic director for 2 theatres in Canada – CELEBRATIONS in Winnipeg and JUBILATIONS in Edmonton. During this time she collaborated as a writer / director on more than 40 shows. 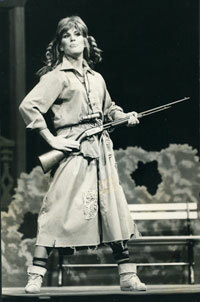 These shows have also been produced in various theatres across Western Canada. In 2009, Judy directed the highly successful Musical Theatre of LA/Canary Productions revival of the hit musical CABARET to rave reviews and a top ten on BroadwayWorld.com’s favorite shows of the year. Other theatre writing/directing credits include: ANNIE GET YOUR GUN, HELLO DOLLY, SWINGING WITH THE STARS, MAJESTY OF THE SILVER SCREEN, GET ME JOHN DENVER, A TRIBUTE TO PATSY CLINE, CLOSING NIGHT, DARE TO DREAM, ATARIA and THE SUNSHINE BOYS starring Johnny Crawford. Additionally, she has directed the short films – BLINK OF AN EYE, END OF SUMMER, TOM’S MIDNIGHT GARDEN, LOVE FARCE, THE SHAMAN, ORANGE and WE 3. Currently Judy is writing a sequel film for Once Upon A Dream Productions. The film is tentatively slated to start filming fall of 2017. Singing has been a passion of Judy’s since she first stepped in front of an audience at the age of 6. Since then her musical career has expanded to include musical theatre, concert performances, USO tours and even the occasional foray into the recording studio. A talented athlete Judy’s sporting activities range from earning two skydiving world records to competitive horse jumping. She skis, plays tennis, and has trained in flying trapeze, wing walking and roller derby. Competing three times on BATTLE OF THE NETWORK STARS. Judy’s athletic ability caught the eye of legendary sportscaster Howard Cosell who dubbed her one the the “best (female) celebrity athletes” the show had seen. This led to appearances on CELEBRITY CHALLENGE OF THE SEXES and two editions of CIRCUS OF THE STARS.